About the authors: Adithi Raju & Vaibhav Gupta are Management Consultants at Zinnov with the Engineering Excellence team. Global In-house centers (GICs) are redefining the way businesses leverage diverse talent pools and skill sets distributed across geographies. 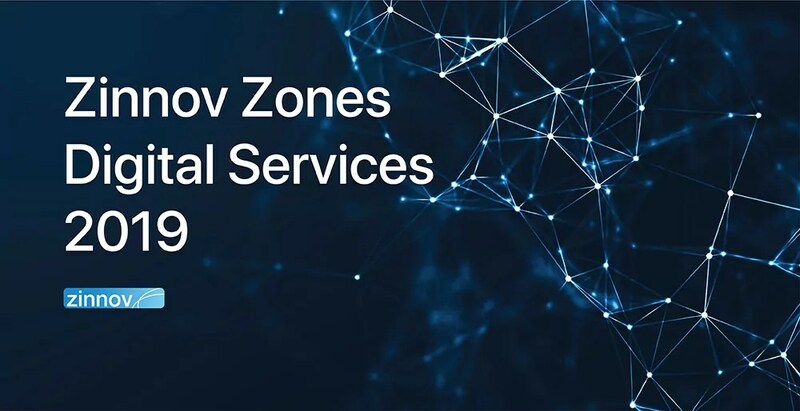 GICs were initially set up with the objective of accessing new talent pools, but over the years GICs have brought in other ecosystem and value added benefits. An excellent infographic about #WhyGICs and #WhenGICs can be downloaded here. With the advent of digitization, the scope of GICs matured from a delivery center for business process services to a strategic hub for IT and R&D/engineering services. The key enabler of this change is the presence of a skilled talent pool and a robust ecosystem that creates an ideal growth zone for GICs. Today, the contributions of a GIC are an integral part of an organization’s overall value chain. 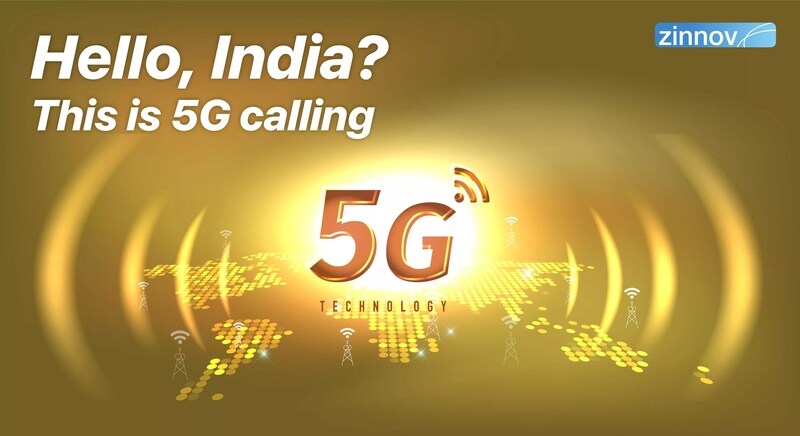 It is no surprise that global players all over the world are now making astute investments to build strategically strong and well positioned GICs in regions best served for rapid growth. Currently, the GIC model accounts for 25 percent (US$38–42 billion) of the global offshore services market. With so many players getting into the GIC game, for an organization the search is on for the perfect formula for setting up a GIC. 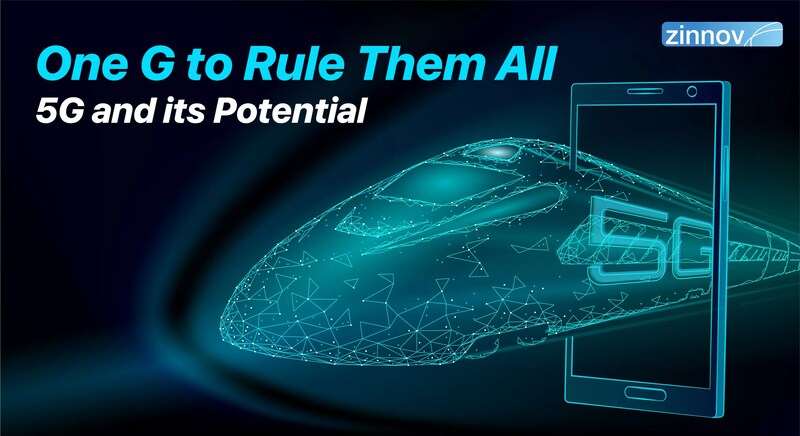 There is huge interest among global leaders to understand how competitors are tuning their GIC model to address unique challenges related to initial setup and continuing operations. 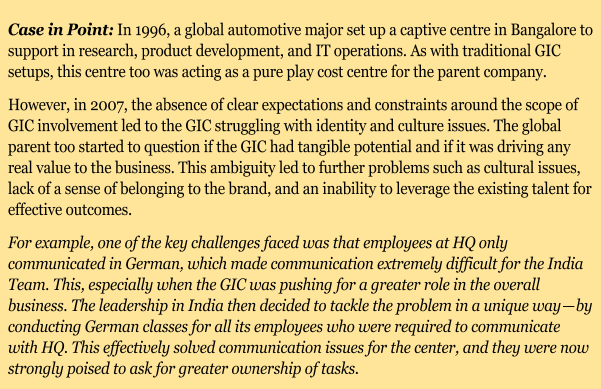 Typically, the story is seen in 3 parts; First how and when did the transition to a GIC happen; Second — how did companies who set up GICs tackle teething problems during initial setup; Third — how are global players changing the traditional definitions of GICs and leveraging them to drive innovation locally and globally. There are multiple ways by which most businesses transition from an outsourcing to an insourcing model. There are pros and cons with both models, and leaders of global businesses consider key factors before choosing a strategy that best fits their business. 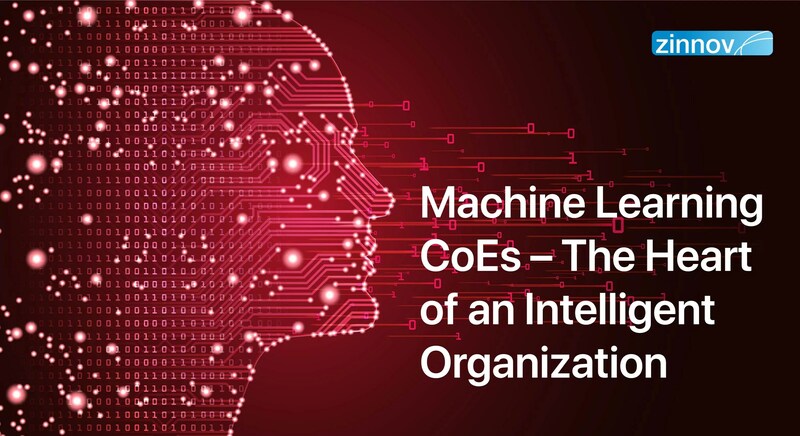 Over the years, however, many businesses are finding real benefits of choosing the insourcing model to leverage globally distributed skill sets and technological innovations. 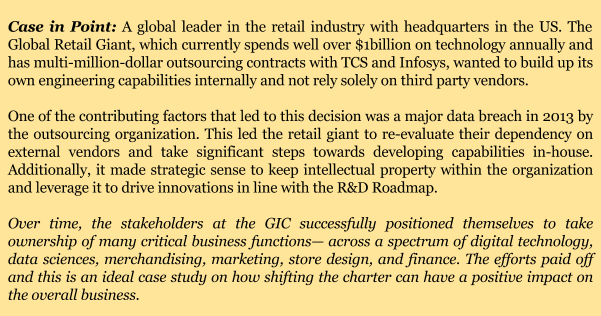 Hence, even though GIC set-up is capital intensive, off late companies have started to prefer it over a BOT (build-operate-transfer) model by a vendor due to the control over data security and economies of scale over a period. Global delivery operations of mature organizations evolve from working largely with partners to in-sourcing/managing core capabilities in-house. 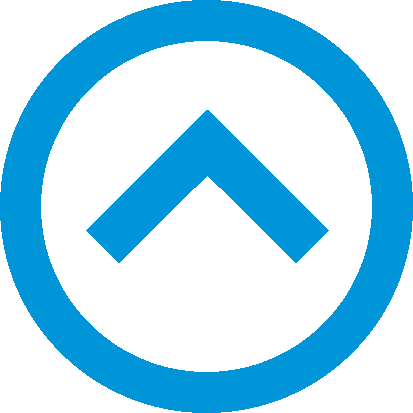 Moving to an insourcing model can positively impact a company’s key result areas and enable alignment of culture, strategic priorities, and goals. However, simply moving to a GIC model did not solve all problems for the stakeholders involved. There are multiple intersecting challenges faced by global centers investing in GICs. Some common problems are related to hiring the right talent, ensuring a cultural fit, and creating a brand in the region of operation. 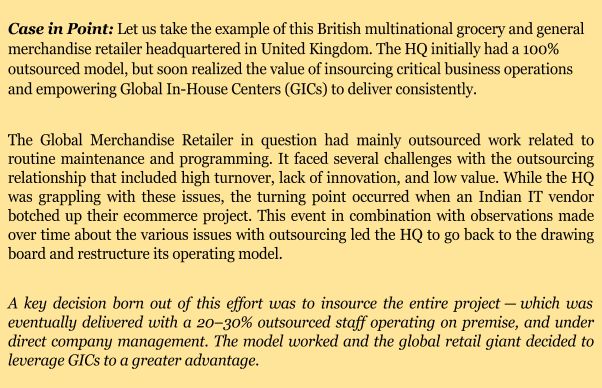 For the 2 global retailers discussed in the previous section, failures with the initial outsourcing model proved to be useful. They used key insights drawn from the failure to build a model that could successfully deflect these challenges. However, challenges that are unique and ambiguous require businesses to think out of the box to find effective solutions. Like with any process that involves change, investing in a GIC model requires significant investment in overcoming resistive forces. Clear definition of charter, building open channels of communication, setting expectations, and measuring outcomes are some of the main ways by which global players find solutions to initial teething problems and continuing operations. Following this, companies are interested in scaling up as soon as possible. The business ecosystem today is global, complex, and agile. Throw in digital innovation into the mix and we have an environment that is accelerating faster than ever. In this fast-changing landscape, it is impractical for businesses to constantly firefight, but rather solve issues quickly and focus on building capability. It is the same thought process that is resulting in a lot of global players changing the charter of their GICs from traditional cost saving centers to strategic hubs that drive innovation and excellence. Global businesses are constantly on the lookout for new opportunities to leverage the talent and ecosystem strengths of GICs. When there is growth in responsibility, ownership, and quality of outcomes, the GIC automatically moves up the maturity scale, and thus provides greater value to the global parent. While there is no doubt that GICs drive significant value when used for the purpose they were initially set up for, it is when global parents undertake bold plays to shift traditional roles, that the true value of the GIC can be leveraged. These case studies are proof that taking a chance on empowering GICs can have significant pay offs. The result is direct positive impact for the global parent; in addition to cost benefits they have opportunities to standardize processes and technology, gain access to new talent pools and innovative ideas, get around the clock support, stay up to date with digital needs, and achieve automation goals that eventually help optimize costs. Non-commodity services that directly or indirectly drive a competitive advantage on the market should be considered for insourcing. Specific to the retail sector, a robust insourcing model can help drive key strategic models and customer focused initiatives in diverse regions. The model also ensures a workforce that is motivated to perform towards achieving organizational goals, and sets a culture that can be driven across other global teams. Ultimately, it is a model that can be used by any big organization looking to leave a footprint in the diverse and global business landscape, leading to a holistic and sustainable growth that helps them move up the value chain. Contributors: Manu Jain and Manu Srivastava contributed to the article.